The summer semester will run from May 13 to August 16, and the fall semester will start August 26. Both semesters will offer multiple start/end dates for classes, so be sure to note dates when registering. Whether you are an admitted student, or maybe just want to take a class for professional development in the spring you can use this COURSE SEARCH link to see what is available! Change the TERM CODE to the term you are looking to search using the drop down menu. Make sure the COURSE LEVEL is set to GRADUATE. 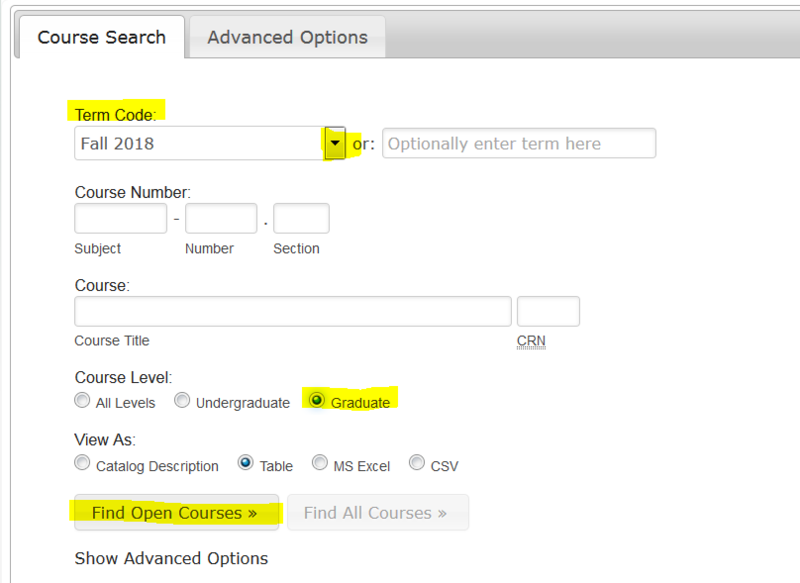 Click on the FIND OPEN COURSES button at the bottom of the page to see the entire listing of GR courses with seats available. Please note: This includes courses that may have already started. Or you can use the ADVANCED FEATURES tab to filter the complete list by either location, start date, instructor, etc. Online registration is now open for the upcoming 2019 spring semester. Current students can register through the myPlymouth portal. 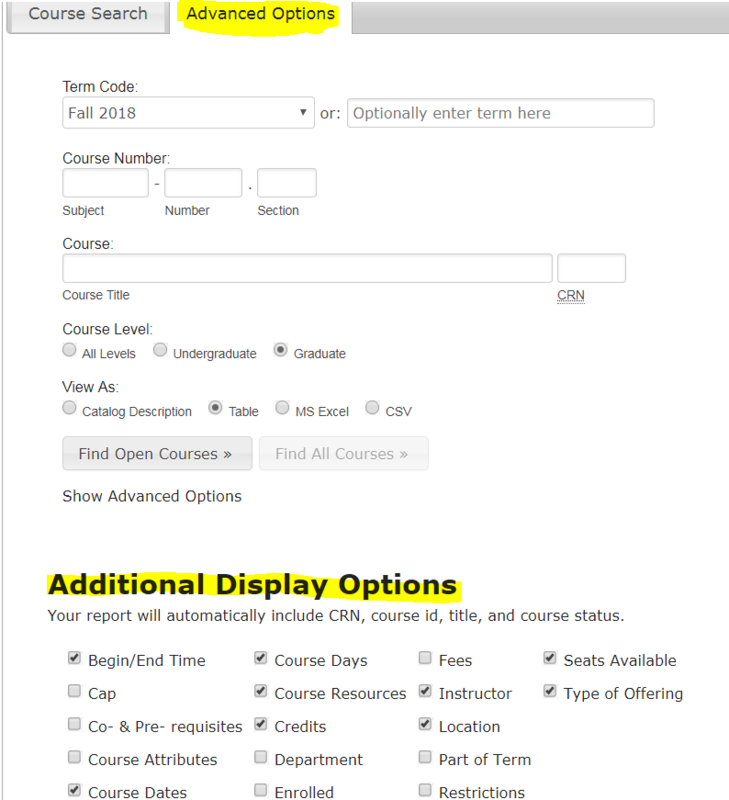 If you are new to PSU or not taken a class in the past two years, you will need to complete the paper registration form and submit to the Registrar’s Office. Please contact the Registrar’s Office if you need assistance with registration.